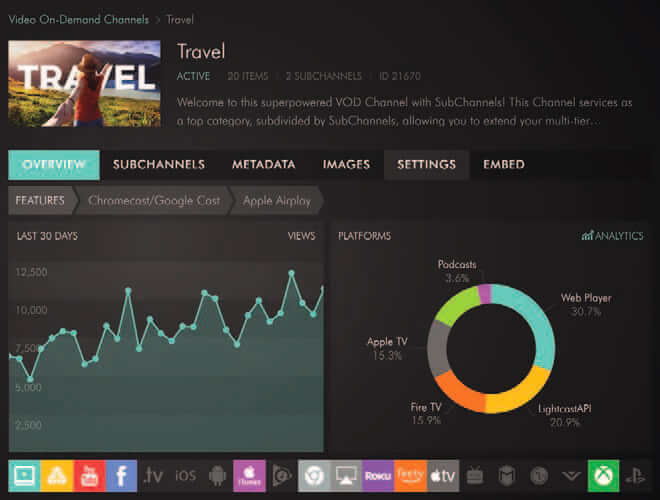 Automate upload, management and publishing of all media to all platforms through programmable workflow presets. 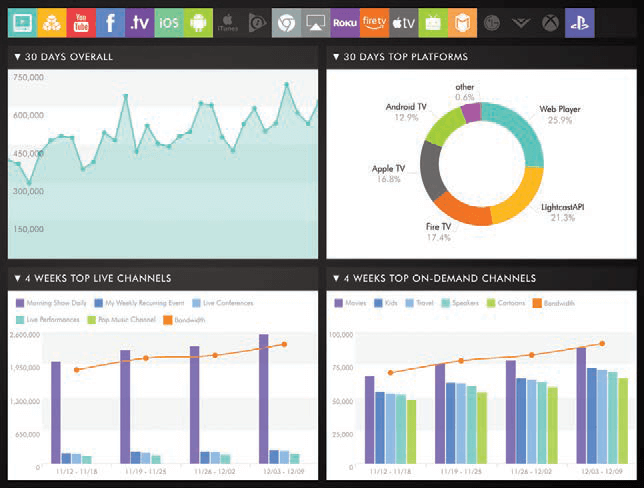 Manage all your web-, mobile- and TV-apps in one place, create new stunning, native apps for web, mobile and OTT/ConnectedTV platforms, and launch them in the leading app stores. 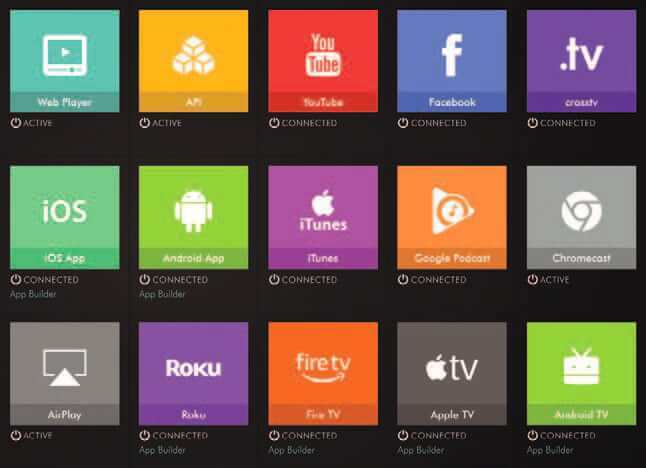 Use the App Builder to create and extend new web-, mobile-, and TV-apps on Roku, FireTV, AppleTV, AndroidTV, SmartTVs, iOS, Android Mobile. 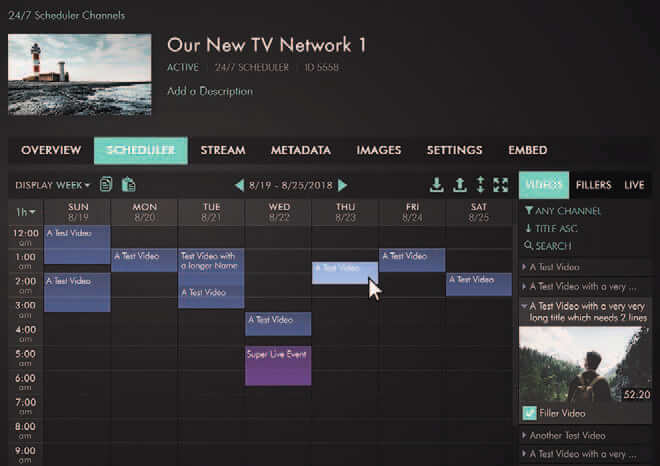 Manage and deploy all types of media and metadata for all publishing platforms, apps and players in one place: metadata and images for all media galleries, players, apps and backgrounds, closed-caption files, language-subtitles and other sidecar files. 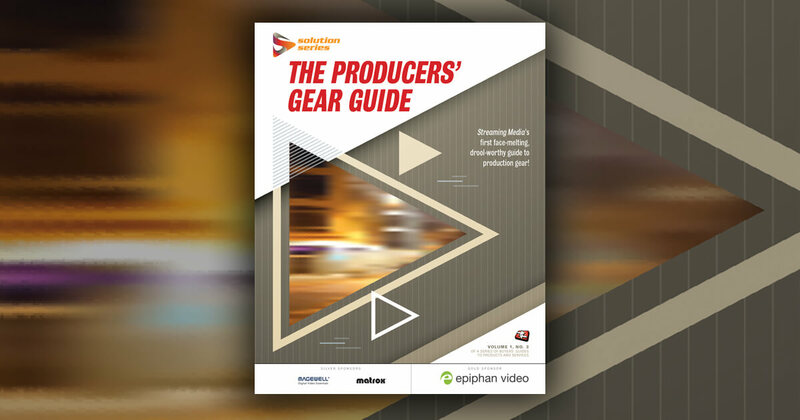 Save valuable time and resources by automating your media team’s workflow by using the Media Cloud’s programmable workflow presets. 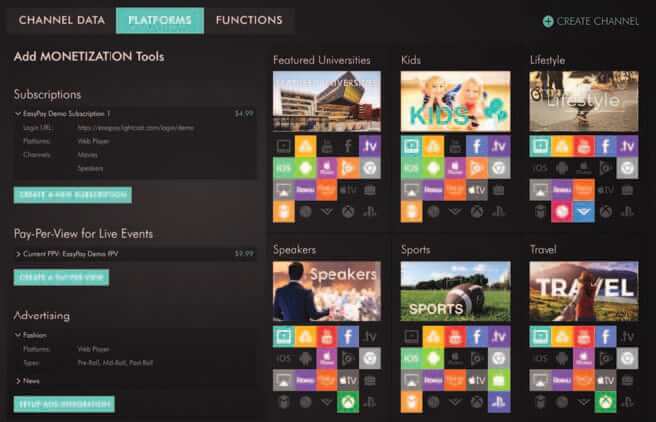 Set up on-demand channels, sub-channels, series, create live events, ingest linear channels, generate cloud-populated 24/7 channels, create and update navigation structures for all web-, mobile-, and TV-apps dynamically in real-time. In addition, activate a custom-branded cross-browser web player for your websites, and connect your accounts on the leading social networks and video platforms to your Media Cloud for instant publishing automation of live-streams and on-demand video distribution. Increase monetization and revenue opportunities through instant setup of subscription products, advertising integration, serving of your own ads and ad-sponsors, and PPV live-streaming events. 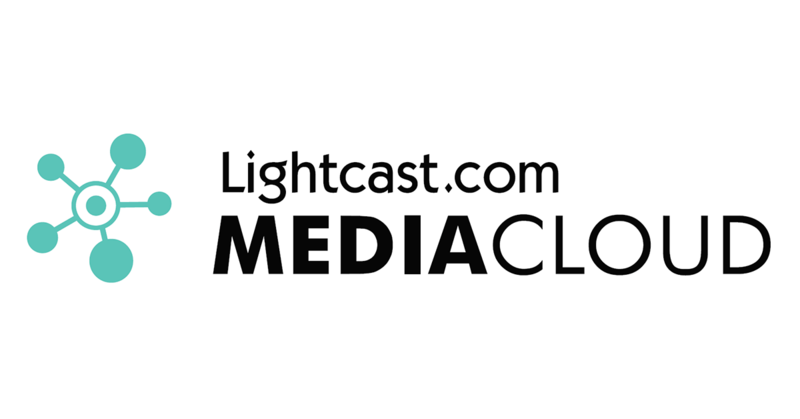 Our customers in every market love using the Media Cloud, including our customers from broadcast media, education, government, enterprise, sports and not-for-profit. 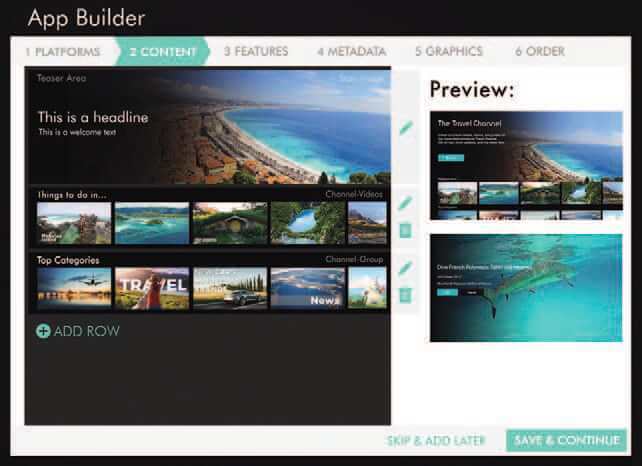 The possibilities are endless and all types of enterprises and organizations can utilize the Media Cloud effectively. This article is sponsored by Lightcast.